Uncategories Your address is your shoes; it travels with your whole life! Your address is your shoes; it travels with your whole life! If we talk about the gentleman, even tramps can’t do without them. It also reminds us Charlie Chaplin’s larger than life-size shoes or Raj Kapoor’s – Mera Joota Hai Japani… It is not understood as to how the writer of the song took a fancy to the Japanese shoe when its Chinese counterpart is better known like the various other products now available in the market. I think perhaps the choice might be due to more with rhyme – Japani-Hindustani - than reason. But the famous proverb on shoes is still prevalent befits well on certain occasions – Only the wearer knows where the shoe pinches. John Locke in his words has said that our incomes are like our shoes; if too small, they gall and pinch us; but if too large, they cause us to stumble and to trip. Shoes definitely make an outfit and add to your personality. Even my father used to say, a whole personality of the person is judged by the type and shine of the shoe you are wearing. There is an old story when a master has told his servant to make an excuse when I ask you to bring tea or something else on the visit of a guest. When called, he concocted an instant story, Sir Ji, I am still looking for my shoes. I don’t know where I have lost. We may ask the guest to wait or have it one next time. I know another colleague during my service period known by his caste as Kaler, who was very fond of keeping his shoe shining. He used to keep two hankies in his pockets. Left-hand pocket hanky, for cleaning the shoe regularly whenever it gets dust, whiles the right pocket hanky for wiping the hand or face. There is also a message story on shoes in the syllabus of Urdu Amoz classes when a person visiting the mosque expresses his anger with the God that I have been given feet but not shoes. But the moment, he comes out, he saw a beggar without legs and went inside the mosque again to thank God for at least giving him legs. Even in the guidelines to the medical representative to keep your bag in left and to have an easy shake with the visiting doctor for marketing besides keeping the shoe shining before leaving for the promotion of the product. Sometime back, throwing shoes at the leaders are taken as a way of showing resentment but it hardly hurt them as they are used to making false promises to enjoy the five years’ term. Frankly speaking, I realized the background of pinching my shoe as I had no choice except to wear the left-out shoe at one of the Memorial Meeting I had gone to attend where my shoes were replaced with someone of the same brand and colour. No doubt, the replaced one was better than my original shoes but it was still giving a feeling of psychological pinching. 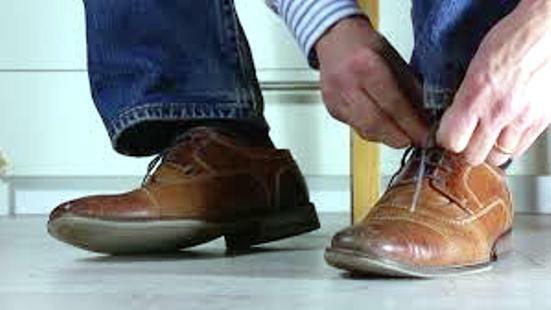 When I shared this incident with one of my friends, he gave me the tip to save your pair of shoes, if you leave the pair of your shoes at two different places as no one would pick two from different places and it worked when tested. Anyhow, the comfort should be the guiding factor in choosing the type of shoes as your address is your shoes as it travels with you whole of life.